Add dimension, warmth or color to your face for a gentle contour with these huge pans of perfectly-pigmented pressed powder. Talc, Mica, Magnesium Stearate, Dimethicone, Hydrogenated Polyisobutene, Octyldodecyl Stearoyl Stearate, Bis-Diglyceryl Polyacyladipate-2, Phenoxyethanol, Ethylhexylglycerin, Tocopheryl Acetate. May Contain: CI 45410, CI 15850, CI 77491, CI 77891, CI 77492, CI77499, CI 77007. Aura Powder Blush is rated 4.6 out of 5 by 660. Rated 5 out of 5 by Lindz from LOVEEEE NYMPHAEA!! #OBSESSED This blush is perhaps one of the most beautiful blushes that has ever graced my face. I got it for free for reviewing purposes, and since then I haven't used any other blush. It is GORGEOUS beyond words, and I feel would compliment any skin tone. Rated 5 out of 5 by Drea Renee from Nymphaea blush I used this blush with multiple looks that were extremely different and it worked well with both of them. I was really surprised that I liked this blush because I don't really gravitate towards coral blushes. This was easy to blend and buildable. I love the finish and how subtle it was. A new favorite. I received this product for free to review. Rated 5 out of 5 by chelseazen from Strawberry shortcake I got the color Nymphaea and it reminds me of a pale strawberry shortcake! A little product goes a long way and I absolutely love this color for summer! The formula is very light weight and lays nicely over my highlight! received this product free/complimentary for testing purposes, but all opinions are your own. Rated 5 out of 5 by MsIvyLeagueBeauty from Beautiful color! I just received this product in my Vox Box and I LOVE IT! 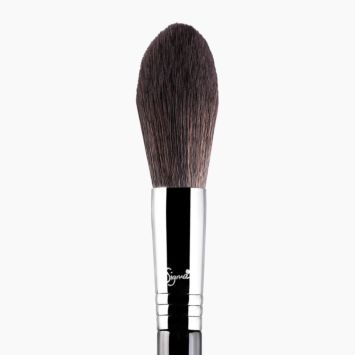 The Nymphaea Face Powder is a perfect cheek color & the F40 large angled contour brush; is a super soft, wooden-handle brush with heavenly application. Highly recommend--super long lasting even through the AZ summer! Rated 5 out of 5 by EmilyDoll from Bomb.com I recieved this blush in shade Nymphaea complimentary from Influenster and Sigma as an official beauty product tester for Infleunster. I was confused at first due to its claims of being an all over face powder but quickly figured out how to most efficiently apply it. I use this mostly as a blush but also dust it over my temples and nose and it gives my super pale complexion a perfect glow. I love this blush!! its highly pigmented and goes on perfectly. So smooth and easy to blend. On top of all that it is lasting!! I highly recommend giving this a shot. Rated 5 out of 5 by lauraashley24 from LOVE THIS LONG LASTING PINK BLUSH! I am a big fan of a great pink blush and this Nymphaea Powder Blush was the perfect shade for my skin tone, especially with being a bit tanner this summer! It's super light and long lasting. It applies very evenly when using the F40 Large Angled Contour Brush . I did receive the products free from Influenster but I would definitely purchase again! Rated 5 out of 5 by Brittnicole from Beautiful color! I received the color NYMPHAEA free/complimentary for testing purposes from Influenster. My personal opinion is that the color for one is amazing! 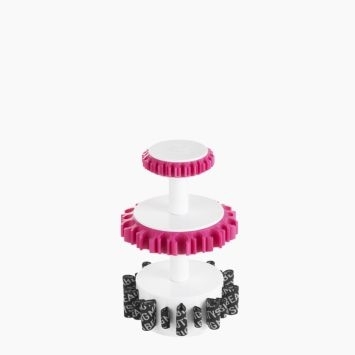 The texture is long lasting and not oily. The coverage was great and long lasting. It is now my go to blush! Rated 5 out of 5 by xlordashx from Great Powder! I'm tried this face powder out in Nymphaea. I have caramel colored skin and this looked great as a blusher. It's not super obvious which is nice and it goes on really well. I haven't tried it as an all over face powder yet to see what it looks like, but I definitely like it so far. I received this item complimentary in exchange for my review. Rated 5 out of 5 by Tanyalux from Very satisfied! I received this product free for testing purposes, but all opinions are my own. I got Nymphaea with the F40 Large Angled Contour brush. So far Im ver satisfied both of them. Few days ago I tried my my clients ( Im a makeup artist ) They love it,the brush is so soft and the color of the blush on is subtle,compliment eye and lip makeup,photogenic! Rated 5 out of 5 by malarconleon from Beautiful and natural I bought this blush about a year ago and it was a marvelous surprise. It is pigmented but delicate enough not to saturate the brush and make it difficult to apply without looking like a clown. Easy to use, to blend and the colour selection suits many skin tones. Rated 5 out of 5 by Methiie from Obsessed! I love love love love this blush! Been using it ever since i opened it. The best blush so far! Very versatile, pigmented and buildable! This product is just amazing! Rated 5 out of 5 by nessa666 from Everyday blush I bought this product after seeing a ton of twitter and instagram posts. The price was at a good point even without 10-15% off. The color payoff is great and can be used with just about any brush. blendable and smooth on the skin. Wear time would be just about the same as any other high end brands would be. Rated 5 out of 5 by Shery from Great Bronzing Powder! I bought this Auro Powder Blush in shade In the Sandle for bronzer and totally I am in LOVE with it! I recommended it to my best makeup junkie friend and She will buy it soon. And guyyyysss I found my love of my life. There are no bronzing powders for me right now. Rated 5 out of 5 by Shine27 from Omgs Omgs... When I first received this and saw the color I was like, it's to light will definitely not look good on me but I was so wrong. I use Nc42 in Mac and this looks great on me. It does not look ashy nor does it look like a bronze. I found my perfect contour shade. I being using it non stop and soon hitting pan. Love it I will defiantly repurchase again. All of the blushes of Aura Powders are amazing, pigmented and long lasting and it does not claim to be. I'm so impressed. Rated 5 out of 5 by Lilly from Awesome shades This product is perfect for all skin tones also so blendable doesn't fade away after a Long day I think we all know what that's like also great in photos would Bonelli give this product a try! Rated 3 out of 5 by Keisha from Good This product is really good I'm just a little disappointed in the shade. It's more pink than it looks online. I should have gotten In the Saddle I guess. Rated 3 out of 5 by Klajg from Smooth! Very soft and light application. Does not go on heavy so I never have to worry about applying too much of this product. However, the hue is lighter in person than it is on the picture. Rated 5 out of 5 by Rouges from smooth This was a Christmas gift to myself. I bought the beautiful, bright, and bold Sigma Pink. The color is gorgeous and the formula blends easily. Because the color is so intense I start light and build as desired. I want a flush but I don't want to look like a clown. Of all the hot pink/fuchsia blushes out there, I'm glad I chose this one. Rated 4 out of 5 by elines1234 from Blush Beginner This was the first time I used blush because I don't wear it that often and I was quite amazed with the results. Not much was needed when applied and it lasted the whole day. I received this product free/complimentary for testing purposes thanks to Influenster! Rated 5 out of 5 by Jennifer from Beautiful color! 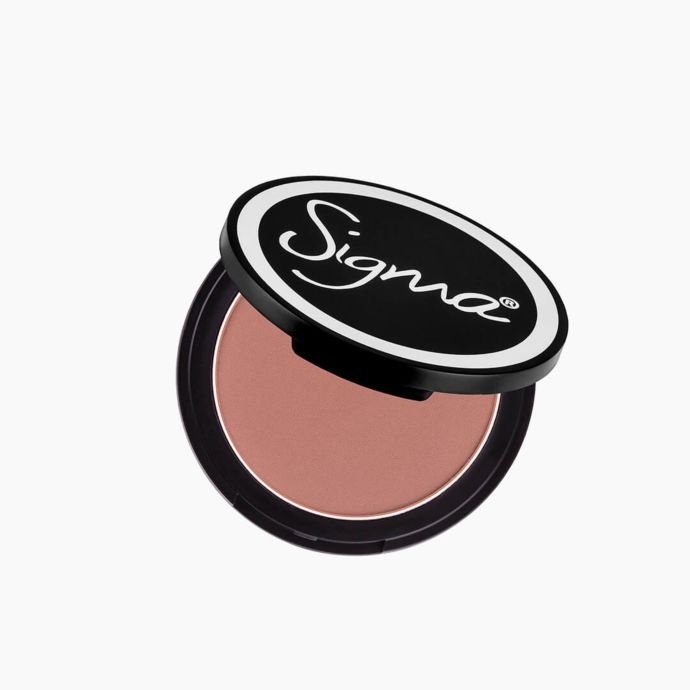 This blush is amazing from Sigma Beauty! The blush color is Nymphaea. It gave such a nice natural coral color to my cheeks that I loved! I received this product complimentary for testing purposes, but all opinions are my own. Rated 5 out of 5 by Fawn22 from This brought life to my face! Nymphaea is the most gorgeous color on my fair skin! It really pops my cheeks in a subtle, natural, but definitely made-up kind of way. I received it in the mail for testing purposes. Rated 4 out of 5 by alexak from perfect everyday This is the perfect every day blush. not too pigmented, but pigmented enough. the shade is absolutely stunning on my fair to light skin. I received this product compliementary for testing purposes. Rated 4 out of 5 by Meggie from Versatile Nymphaea I tested the shade Nymphaea and I am obsessed. 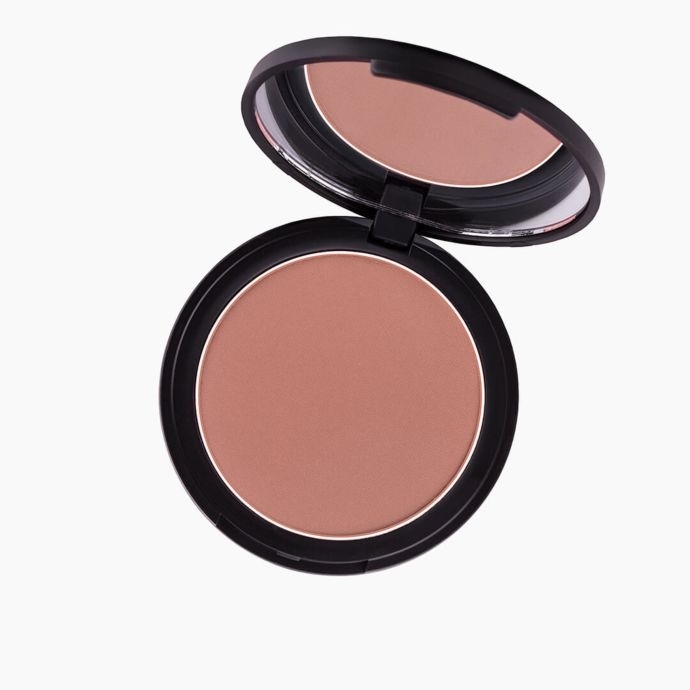 This blush is easily buildable and versatile for any occasion. I would recommend the Aura Powder in Cor-de-Rosa! Cor-de-Rosa is a beautiful dusty rose, mauve shade. I am trying to decide between the color Cor-de-Rosa and the color Nymphaea to use as a blush. I have a light skin tone with cool undertones. Which color do you think would be best? They both will look lovely! 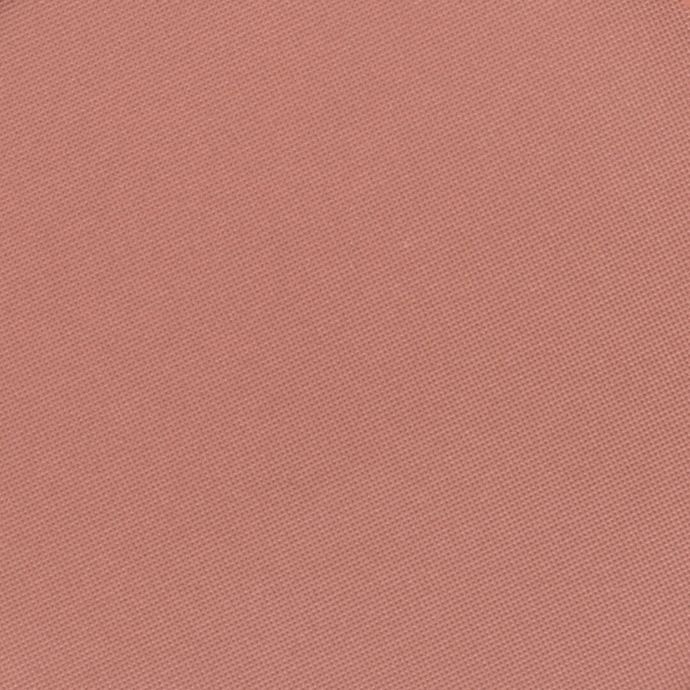 Cor-de-Rosa would appear more as a bronzer with a very natural and dusty rose finish. Compared to Nymphaea which will provide a beautiful coral, flushed finish. How does the aura blush in cor-de-rosa compare to serene? &nbsp;I have been using serene and love the color. &nbsp;I was also considering nymphaea. &nbsp;I have a lightish medium skin tone. Cor-de-Rosa is a more flushed tone with an earthy base. Serene is similar in hue, though it does have more of a true dusty pink base. Nymphaea is a subtle coral color and compared to Serene and Cor-de-Rosa has much more of a true pink base. Any of these shades would work very well for light-medium skin tone. The pigmentation for our individual blushes and aura powders is both versatile and build-able to achieve the look you love! recommended a bronzer for medium skin? If I'm looking for a very very subtle, pink, natural looking blush, would Pet-Name be a good option? I don't want it to be too pink, just a very soft wash of color. Yes, Pet Name is the most natural, subtle, and light color aura powder shade. It is a great choice for a very soft wash of natural color! How many grams of product does this blush contain? 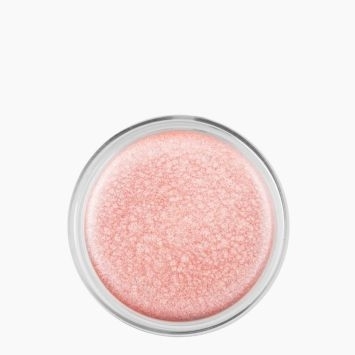 The Aura Powder blush contains 8.48 g of product. Yes, the Cor-De-Rosa shade is perfect for a natural, everyday color for medium skin tones! Yes, the Aura Powders are excellent to contour with. The shade In The Saddle is the perfect, matte contour color that works well for almost all skin tones. I'd like to purchase this and would like to know what shade is recommended for my light-medium olive tinted skin? I like In The Saddle but I'm not sure. In the Saddle is a lovely subtle matte bronzing shade. It really varies on the look you are going for. If you are looking for a bronzer; In the Saddle is great! If you are interested in a blush that is not overly pink, I would highly recommend Cor-de-Rosa. Hi. Which shade will you suggest for me? I have a medium yellow toned skin and i use Mac NC40.&nbsp; Thanks. Depending on the look you are going for; the earthy and flushed of Cor-de-Rosa would be lovely as a gentle pop of color. In the Saddle is a subtle matte bronzing shade and on the right complexion is perfect for an everyday natural look. Hi there, Do your blushes have any shimmer or sparkle to them? The Aura Powders do not contain shimmer or sparkle and are beautiful subtle shades that vary from brown to peach, to pink to perfectly enhance your skin. They enhance and bring forth dimension of the face and subtly draws out natural contours. Which powder is good for deep complexions, women of color? As a industry makeup artist, I frequently get to work on deeper complexions and depending on the event, mood, and rest of the makeup, I find myself reaching for the Sigma Pink Aura Powder very often. Be sure to use a light hand, as it can be very pigmented. I pair this often with a deep rose gold highlight and a bold lip colour. Do we use this all over the face or as a blush on? The Aura Powders are versatile all-over face powders that enhance and bring forth dimension of the face. These powders can also be used as blush, bronzer, and to warm up the skin or add a subtle highlight. What color would look good with extremely fair skin and strawberry blonde hair? The Aura Powders in Pet Name and Nymphaea are great options for fair skin! 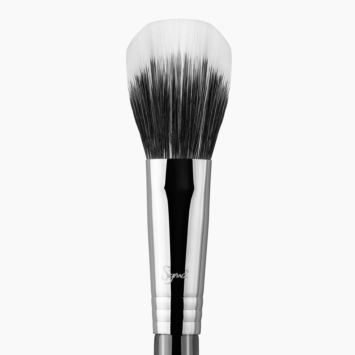 The F37 Spotlight Duster&trade; Brush works perfectly when applying the Aura Powders to the face and cheeks! Hi what shade would suit a pale/Redisham tones dark haired complexion ? Cor-de-Rosa is very universal and looks beautiful on all skin tones! Pet Name would also be a beautiful subtle peach tone for you! Sigma does not conduct, condone, or endorse testing on animals. The few brushes we do offer made with natural fibers are made from animal hair, however, no animals are harmed during the brush-making process. If you are referring to the shade Lady Slipper, this color is described as a soft and opaque, cool light pink. The Aura Powder is a versatile all-over face powder that enhances and brings forth dimension of the face and subtly draws out natural contours. They work perfectly as a soft and subtle blush! 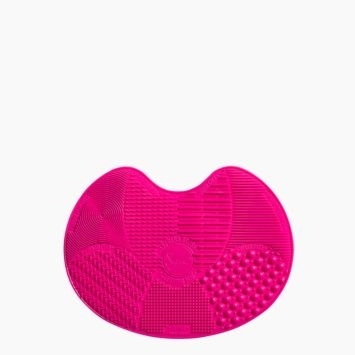 What brush works best with aura powder if I want to use it to contour my check area? The new F04 Extreme Structure Contour&trade; would be perfect! Absolutely! The Aura Powder is a versatile all-over face powder that enhances and brings forth dimension of the face and subtly draws out natural contours.